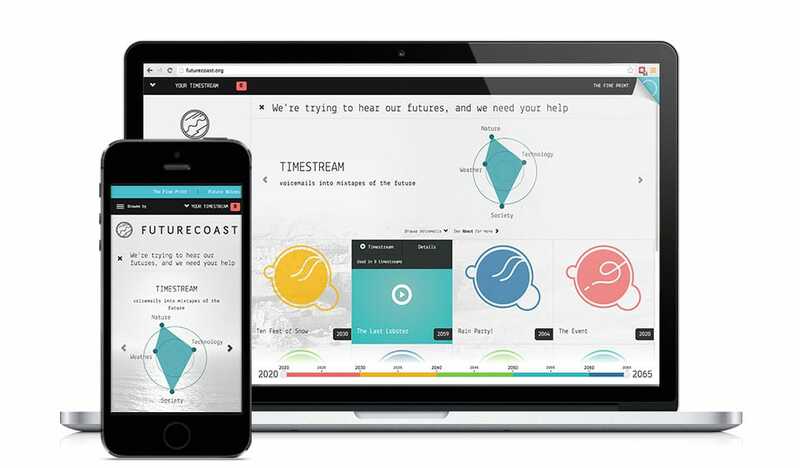 FutureCoast is an alternate reality game (ARG) and experiment in collaborative storytelling that explores the impact of climate change. They needed players to create a collaborative story by calling the FutureCoast hotline (1-321-7FCOAST) and leaving a voicemail which would then be added to a website where other players could listen and stitch together other voicemails into their own personal version of the future. (Yeah, it blew our minds too.) Tactica had to create an intuitive user experience (UX) for a task people hadn’t done before. Oh, and the experience had to be consistent across mobile and desktop. Tactica implemented a unique system that integrated a voicemail hotline with a content management system which was easy to use, ensuring that the client could get past any technical hurdles and focus on curating their user generated content. Voicemail recordings were automatically transcribed by the system which helped moderators to quickly categorize new content, and users who had previously submitted high quality recordings were highlighted for fast track approval. 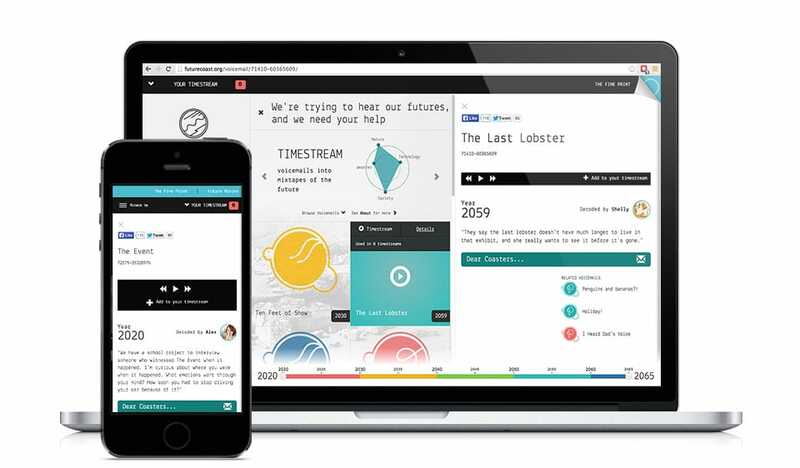 The FutureCoast web app was a stable and reliable platform which gave the client a central showcase to share their ideas about climate change and to engage in discussions with their audience in a unique way. Stress-testing and optimization ensured the web app was responsive under heavy load, which was put to the test when FutureCoast was featured in WIRED. The Polar Learning and Responding Climate Change Education Partnership (PoLAR CCEP) seeks to inform public understanding of and response to climate change through the creation of novel educational approaches that utilize fascination with shifting polar environments and are geared towards today’s adult learners. Game and experience designer Ken Eklund creates authentic fiction: “immersive stories that want to write themselves.” A lead figure in collaborative and socially-relevant games, Ken explores real-world issues through collaborative play. Ken launches massive participatory narratives that focus on contemporary issues and ask “what if…?” in the style of alternate reality games (ARGs).